Love,Love,Love these classic 70s style. Been wearing these since the late 70s really! Please come out with more colors as u had a few years ago! Thank you for making a quality product and keeping it around! I am constantly amazed at how I can immediately put on my new KORK-EASE shoes and they feel amazing from the start and all day long! This style is no exception and I wore them non-stop this summer....not one spot that "cut in" or was uncomfortable even after all day of wear. Thank you for making stylish and comfortable styles! Wore this shoe for the first time for the entire day walking a lot around inside a casino and there was no chaffing or discomfort at all. For a nice 3 inch lift this is about as comfortable a sandal that you could find. The leather is soft and the fit is perfect per size ( I wear a size 8). I love these shoes! They are so comfortable I can wear them all day and my feet don’t even hurt! 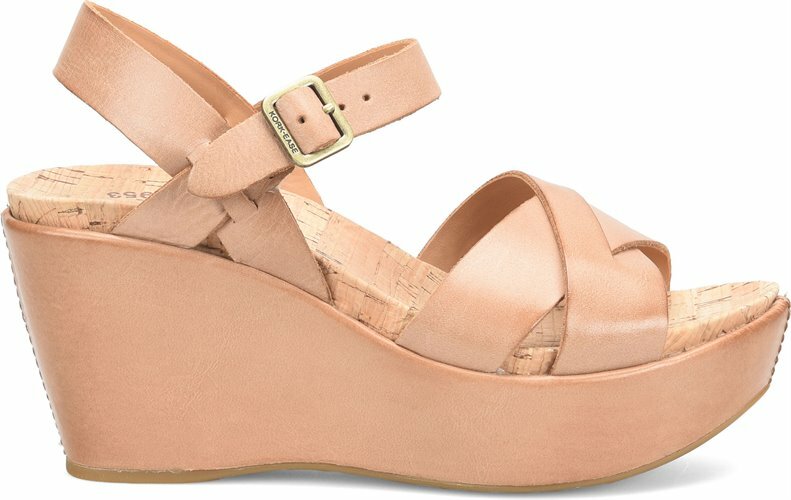 I highly recommend splurging and buying these shoes because it is completely worth it!